Mudflats are economically and ecologically valuable habitats that support clams, mussels, and worms, and serve as important feeding grounds for birds as well as fish. Using the information at hand during the November 8, 2012 FBP goal-setting session, it was determined that 610 acres of mudflats in Frenchman Bay are closed due to bacterial contamination. Our Goal: Get all 610 acres of mudflats that are closed due to bacterial pollution open for harvesting. Visit our 610 Project page for more information. In 2017, the Hancock County Soil and Water Conservation District, MDI Biological Laboratory, and the Frenchman Bay Regional Shellfish Committee began drawing up plans for a watershed survey in the Martin Brook Watershed, and area that’s been identified as a priority for its shellfish resource. The cove has a long history of failing bacteria scores, and has been closed to shellfish harvesting for some time. Coming soon: survey timeline, maps, letter to property owners, and informational pamphlet. 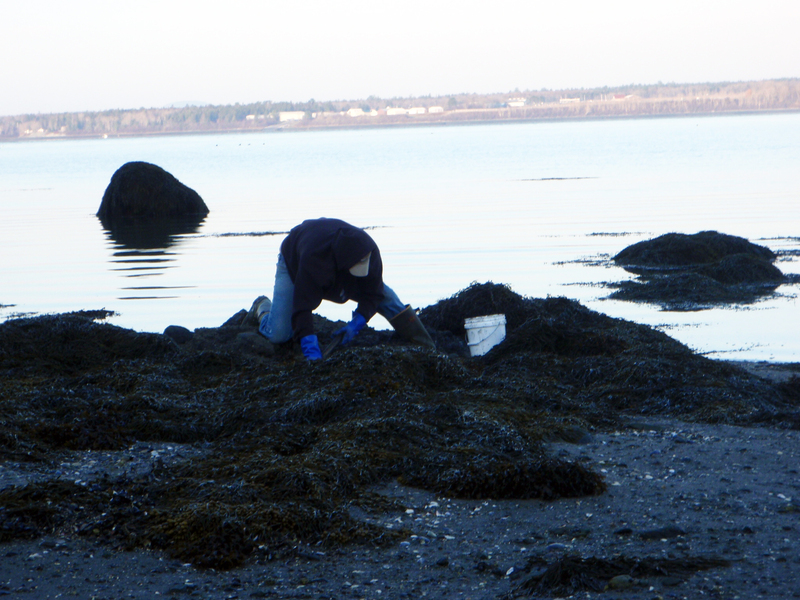 In 2013, the Frenchman Bay Regional Shellfish Committee received a Maine Community Foundation Capacity Building Grant to work on building capacity toward watershed surveys as a part of the larger goal of opening 610 acres of restricted-closure clam flats. The Regional Shellfish Committee will be working with municipalities, identifying sources of pollution, and determining strategies for remediation.